Many volunteer opportunities are available at the Elephant's Trunk Thrift Shop, the Korner Gift Shoppe, Lifeline Medical Alert, Venice Regional Bayfront Health and the HealthPark. Volunteering at any of these locations makes you part of the Hospital Volunteers of Venice (HVV) family. By volunteering you get to serve the community, attend the Annual Appreciation Reception, the Quarterly breakfast awards, and the Annual Volunteer Picnic. The Hospital Volunteers of Venice (HVV), serving Venice Regional Bayfront Health and the community, assisting in over 50 departments throughout the Healthcare system. If you are interested in Volunteering, Call Volunteer Services at 941-483-7050, or go to the hospitalvolunteers.net website and follow the links to a printable application. Volunteers work along side hospital and HealthPark dedicated professional staff providing compassionate care and assistance as well as help in other fund raising areas of the HVV organization. 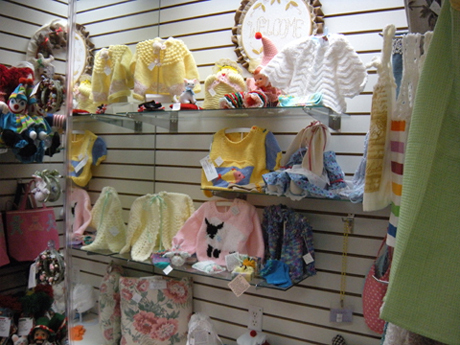 These include the Elephant's Trunk Thrift Store, the Korner Gift Shoppe, and the HVV lifeline Medical Alert System. 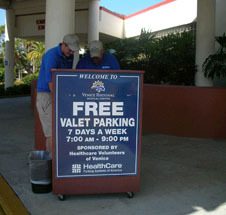 Our income generating enterprises at the Hospital Volunteers of Venice enable us to provide all of our patients and visitors free parking and complimentary valet service as they arrive at the Venice Regional Bayfront Health entrance.